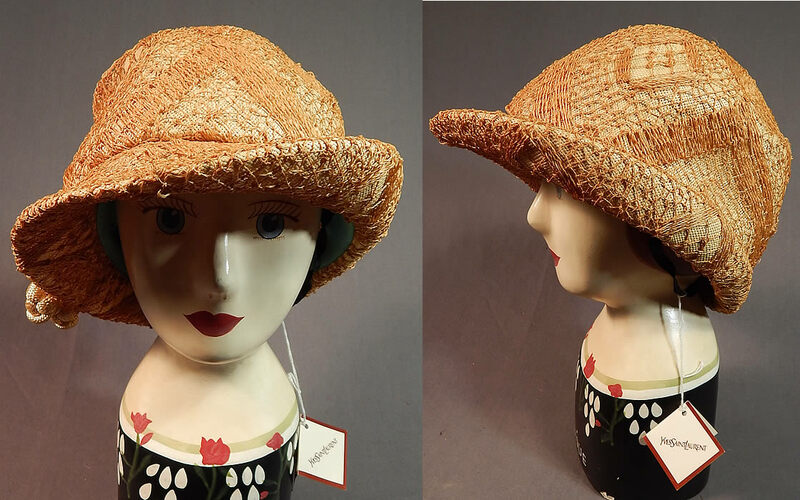 This vintage Yves Saint Laurent YSL designer macramé woven natural straw cloche hat dates from the 1960s. It is made of a tightly woven natural straw with a knotted straw macramé decorative loose overlay covering it. 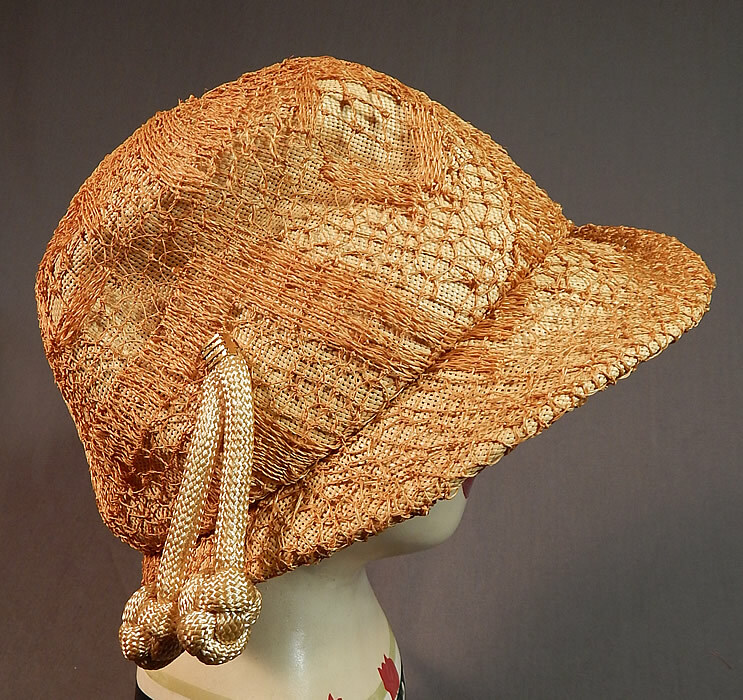 This sensational straw hat has a cloche style, with an upturned rolled wide brim on one side, a cream silk braided rope knotted end tassel trim hanging down and is unlined with a black elastic strap inside. 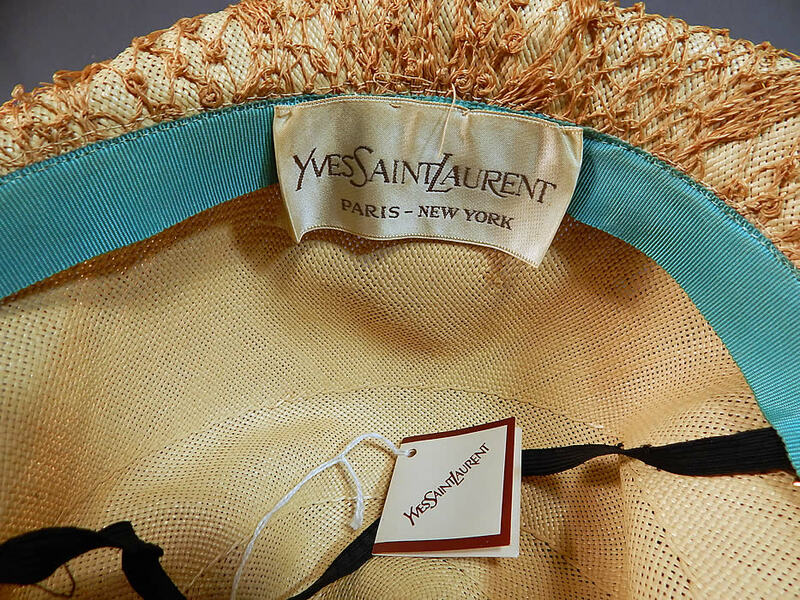 There is a "Yves Saint Laurent Paris-New York" designer label sewn inside and the original YSL paper tag attached. 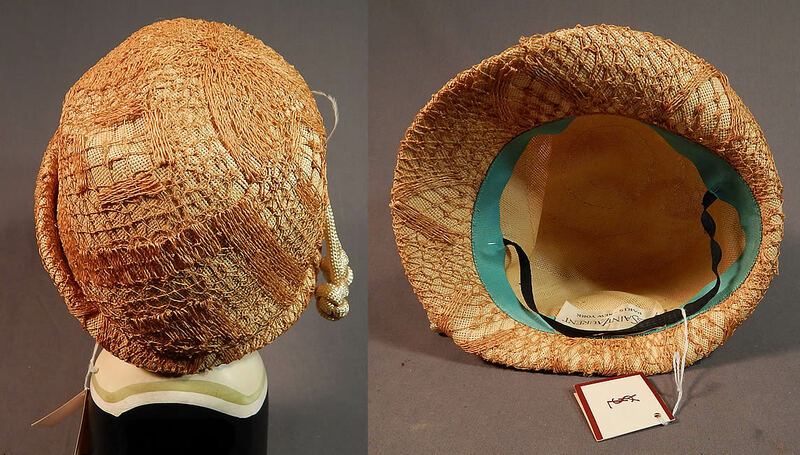 The hat measures 21 1/2 inches inside crown circumference. It is in excellent condition and is NWT, never worn. This is truly a wonderful piece of quality made wearable designer millinery art!